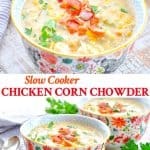 A hearty and delicious Slow Cooker Corn Chowder with Chicken and Bacon is an easy and healthy dinner recipe to warm you from the inside out! It’s January in Virginia, which means that we’re past the excitement of the holidays and we’re waffling in that in-between period. Spring isn’t yet on the horizon, and so we’re hunkered down indoors — as close to the wood stoves as possible — staying cozy with a warm bowl of soup. I can’t think of a better meal to come home to at the end of a cold, gray day than a steaming pot of Corn Chowder. Oh my goodness, it’s tasty! 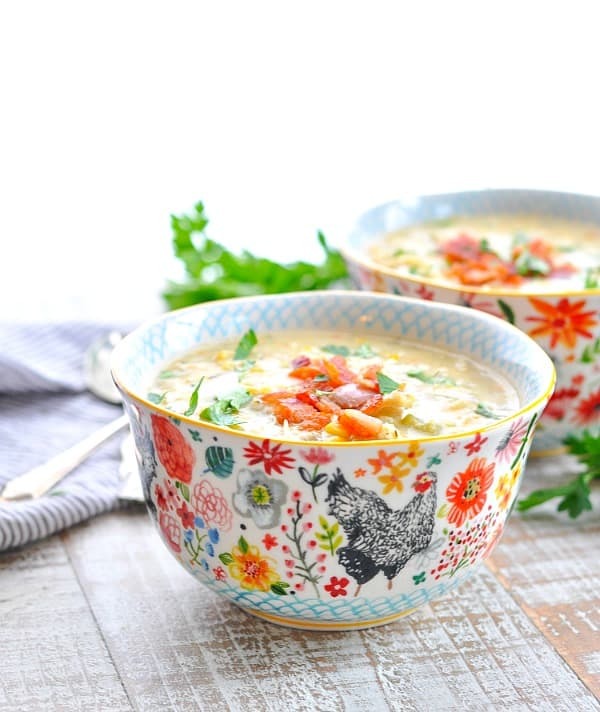 How do you make Homemade Corn Chowder? 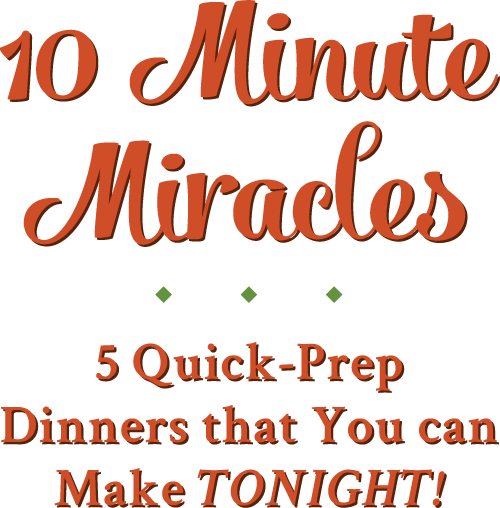 This dinner is easy-peasy, but it does have multiple steps…so it requires a tiny bit of your attention (unlike most of the dump-and-go recipes that I share). Again, it’s definitely not difficult, and the extra effort is so worth it. I mean, you brown the chicken in bacon fat before putting it in the soup. How could that not taste AMAZING?!?! And if you can get your hands on a multi-use slow cooker like this new one that I recently purchased, it makes the whole process so fast! You can sauté the bacon and brown the chicken right in your slow cooker, so you don’t even have to dirty an extra skillet! I’m seriously loving this handy appliance. That said, if you want to skip the step of browning your chicken and just toss everything into the slow cooker at once, I’ve got a tip for that too (see below)! What does Corn Chowder have in it? 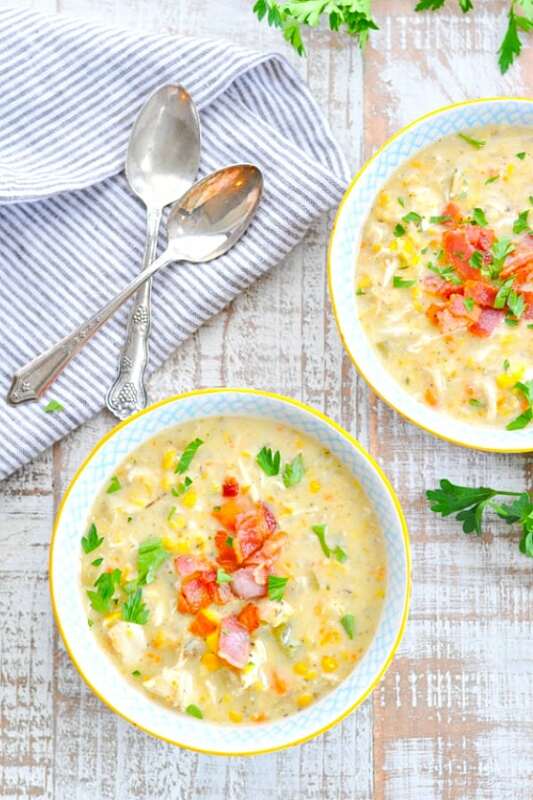 This creamy corn chowder recipe is loaded with classic chicken soup ingredients like carrots, celery and onion, plus chicken breasts, bacon and of course — plenty of corn! 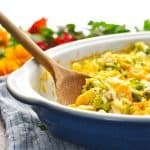 You can use fresh corn or frozen corn! How long does Corn Chowder take to cook? 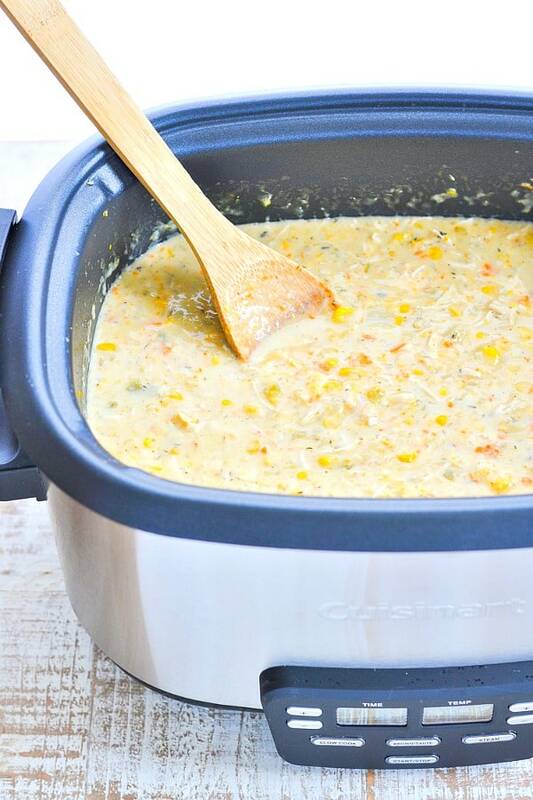 Corn Chowder cooks in the Crock Pot for 6-7 hours on LOW or for 3-4 hours on HIGH. Towards the end of the cooking time, you’ll puree the Corn Chowder with a hand-held stick blender (like this one), or in batches in a regular blender, making it thick and creamy. This only takes about 4 or 5 minutes of your time, and the pureed corn, potatoes, and other vegetables add a velvety texture to the soup — which means that you only need a small amount of heavy cream at the end. 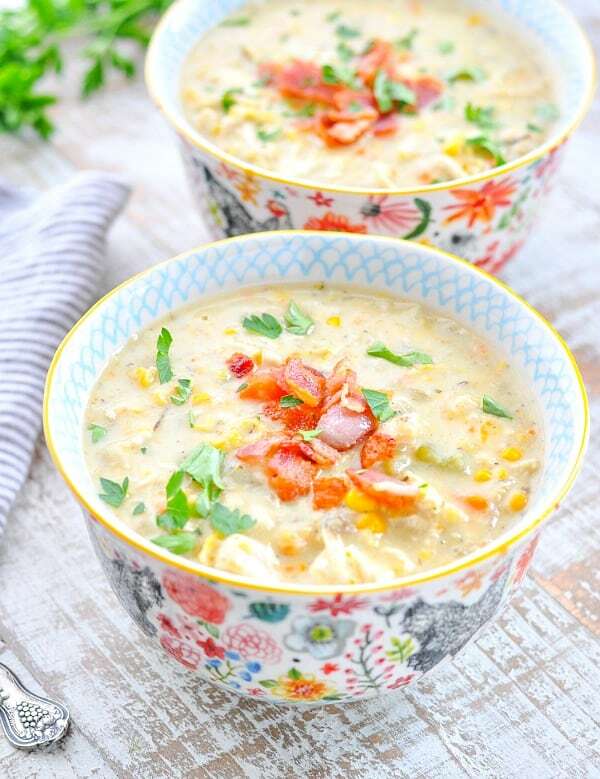 You won’t believe how creamy this corn chowder really is! Yes! While it has a small amount of heavy cream in the broth, you can swap out the cream and use fat free half-and-half for a lighter option. The rest of the soup is loaded with nourishing ingredients like fresh vegetables and lean protein. Yes! 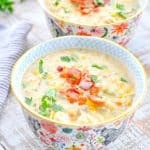 This corn chowder recipe should be naturally gluten-free; however, it’s important to always check your specific brands of ingredients to make sure that nothing contains hidden gluten (such as the bacon or the cream-style corn). Can I make Corn Chowder Ahead? Absolutely! For quicker weeknight dinners, you can prepare a batch of Corn Chowder on the weekend and keep it in jars in your refrigerator to reheat when you need it. I microwave bowls of the soup for lunch when I’m busy, as well. Trust me: it’s the cozy cure for those late January blues! 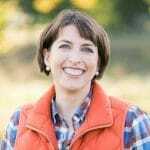 Can Corn Chowder be frozen? Yes! This soup freezes well. While it has a small amount of cream in the broth, the chowder will not “break” or curdle after freezing. What goes with Corn Chowder? This recipe has a fairly prominent thyme flavor. If you don’t want a strong thyme taste, I suggest decreasing the amount of thyme in the recipe from 1 1/2 teaspoons to just 1/2 teaspoon. For an even lighter healthy corn chowder recipe, use fat free half-and-half in lieu of the heavy cream. Make this Potato Corn Chowder recipe using either russet potatoes or sweet potatoes — whichever you prefer! Make a fresh corn chowder by using 1 cup of fresh corn kernels cut straight off the cob, or use frozen corn kernels for convenience! Use a shortcut! If you don’t want to spend the time browning your chicken or frying your bacon first, you can place the raw chicken directly in the bottom of the slow cooker. Add the vegetables, thyme and broth to the Crock Pot (as instructed in the recipe), along with 6 slices of chopped, cooked bacon. I buy pre-cooked bacon at the grocery store for an easy shortcut and then just toss it directly in the pot to cook with the rest of the soup. It flavors the broth nicely! Proceed with the rest of the cooking instructions according to the recipe below. Fry bacon in a large skillet over medium-high heat until crisp. Remove bacon with a slotted spoon and set aside to use later as a garnish. Reserve bacon drippings in the skillet. Add chicken breasts to the bacon drippings in the skillet and cook over medium-high heat, just until browned on both sides (about 3 minutes per side). 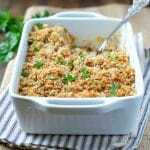 The chicken does not need to be completely cooked through – it just needs to be browned on each side for flavor, since it will continue cooking in the slow cooker. Meanwhile, place onions, corn, celery, carrots, potatoes and thyme in a slow cooker. Add browned chicken to the slow cooker. Pour chicken broth over top, cover, and cook on HIGH for 3-4 hours or on LOW for about 6-7 hours. Remove chicken from slow cooker and place on a cutting board. 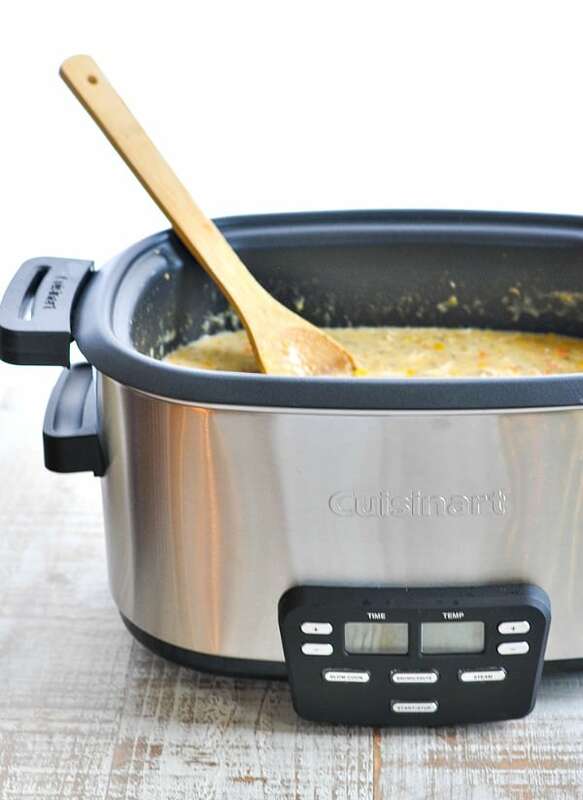 Using a handheld stick blender, puree the soup in the slow cooker until it reaches desired consistency. I like my soup pretty smooth, but with still a few small chunks of veggies. If you don’t have a stick blender, you can carefully transfer the soup to a regular blender or food processor and blend until it reaches desired consistency. You might have to do this in batches, depending on how large your blender is. Once the soup is pureed, chop or shred the chicken and return it to the soup in the slow cooker. Stir in heavy cream, cream-style corn, and ¾ teaspoon salt. Continue cooking for about 5 more minutes, or until heated through. Divide chowder among individual bowls and garnish with reserved cooked bacon and chopped fresh parsley. 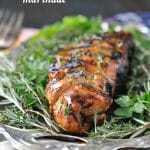 This recipe has a fairly prominent thyme flavor. If you don't want a strong thyme taste, I suggest decreasing the amount of thyme in the recipe from 1 1/2 teaspoons to just 1/2 teaspoon. 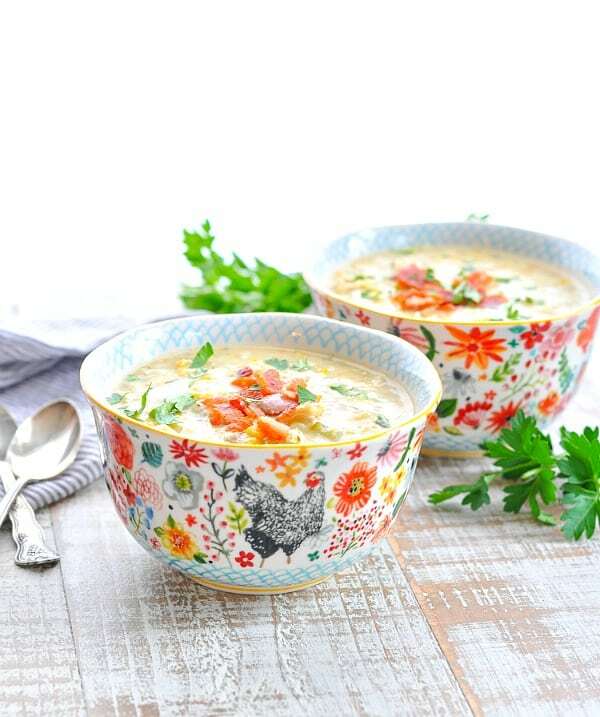 Make this Potato Corn Chowder recipe using either russet potatoes or sweet potatoes -- whichever you prefer! Use a shortcut! If you don't want to spend the time browning your chicken or frying your bacon first, you can place the raw chicken directly in the bottom of the slow cooker. Add the vegetables, thyme and broth to the Crock Pot (as instructed in the recipe), along with 6 slices of chopped, cooked bacon. I buy pre-cooked bacon at the grocery store for an easy shortcut and then just toss it directly in the pot to cook with the rest of the soup. It flavors the broth nicely! Proceed with the rest of the cooking instructions according to the recipe below. Now this is my kind of January meal! I know what you mean about the after-holiday excitement, but not yet ready for the warmer weather. It’s the in between, grey period, and all I want is comfort food! 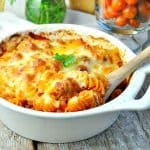 This looks perfect to make in the slow cooker, Blair! Can you skip the heavy cream or use a skim milk instead? Or will it ruin the taste? Looks delicious and i really want to try it!! Hi, Karli! I prefer the thicker, smoother, creamier texture that the heavy cream provides, and it’s such a small amount in the larger pot of soup, that I would encourage you to use it. That said, I do think that you could go with a whole milk or a fat-free half-and-half with good luck, too. I wouldn’t use something like skim milk, because I worry that would make it too watery and the texture just wouldn’t be the same. Hope that helps! We do not eat pork, so the bacon is an issue. I don’t think that most turkey bacon’s hold up well in soups either. Do you have any other suggestions? Hey, Meg! That’s not a problem. The bacon is basically just used as a garnish on the top of the soup when serving. I use the bacon drippings in the skillet to brown the chicken (because it offers some good flavor), but you can easily just substitute some butter or oil in the skillet for browning the chicken instead! And obviously skip the bacon garnish at the end (or use turkey bacon on the top if you still want that crispy flavor). There’s no bacon actually in the soup, so you won’t need to change anything else. Enjoy! This looks delicious! But I’m also here to find out where you got those bowls? !